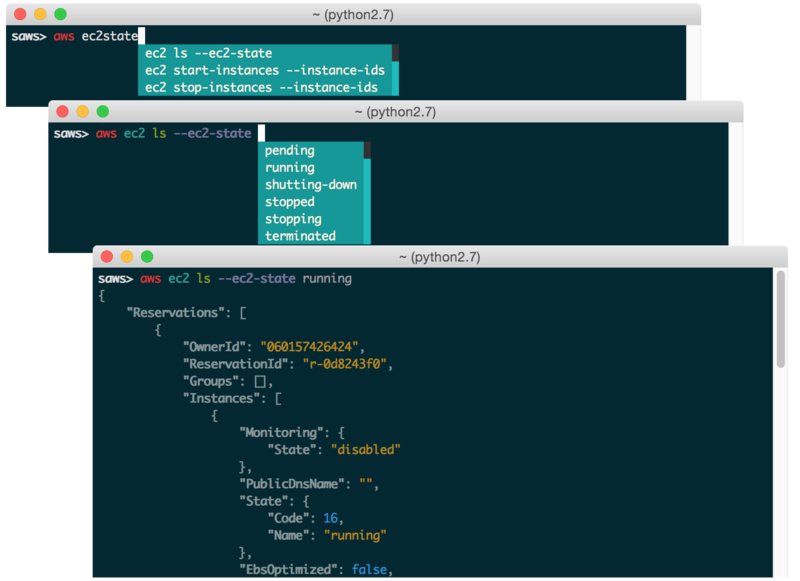 Under the hood, SAWS is powered by the AWS CLI and supports the same commands and command structure. SAWS is available for Mac, Linux, Unix, and Windows. 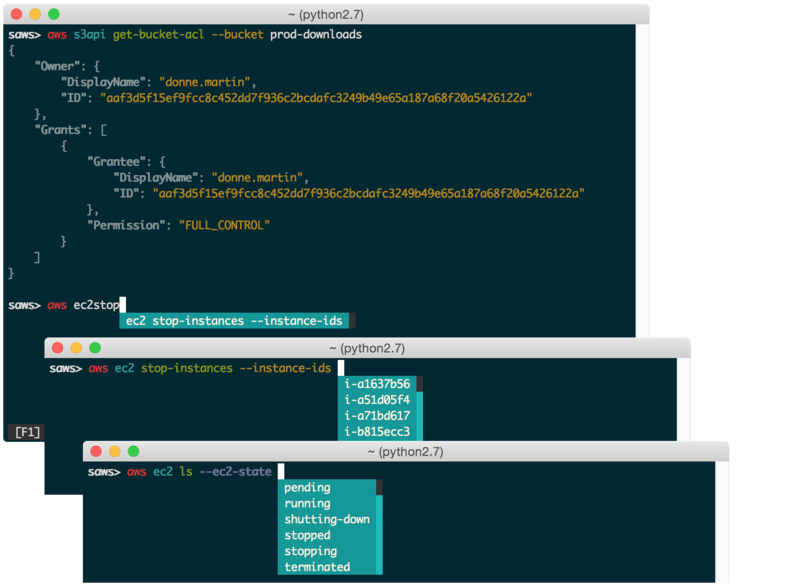 In addition to the default commands, subcommands, and options the AWS CLI provides, SAWS supports auto-completion of your AWS resources. 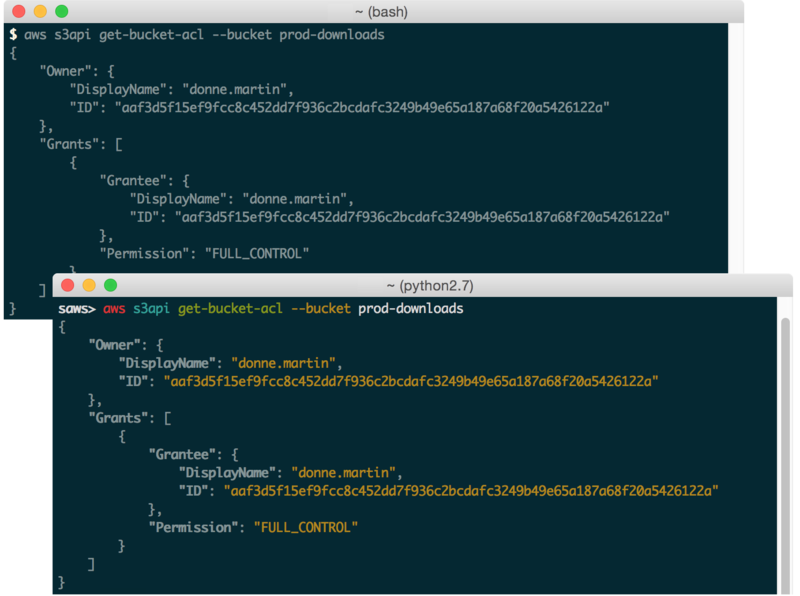 Currently, bucket names, instance ids, and instance tags are included, with additional support for more resources under development. Tags support wildcards with the * character. Feel free to submit an issue or a pull request if you’d like support for additional resources. The ~/.saws.shortcuts file contains shortcuts that you can modify. It comes pre-populated with several handy shortcuts out of the box. You can combine shortcuts with fuzzy completion for even less keystrokes. Below are a few examples. Add/remove/modify shortcuts in your ~/.saws.shortcuts file to suit your needs. To toggle fuzzy completion of AWS resources and shortcuts, use F3 key. Note: Fuzzy completion currently only works with AWS resources and shortcuts. SAWS supports Fish-style auto-suggestions. Use the right arrow key to complete a suggestion. SAWS allows you to execute shell commands from the saws> prompt. SAWS keeps track of commands you enter and stores them in ~/.saws-history. Use the up and down arrow keys to cycle through the command history. 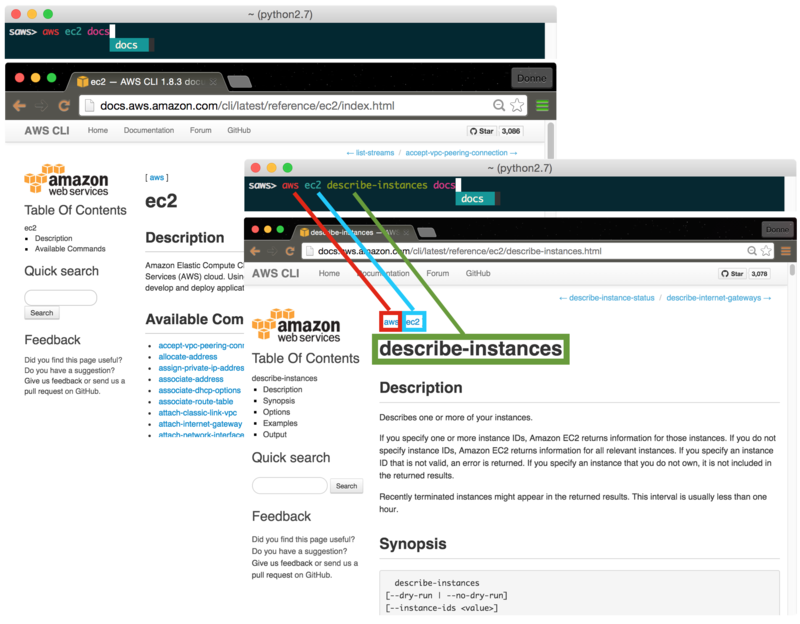 SAWS supports contextual command line help and contextual web docs. 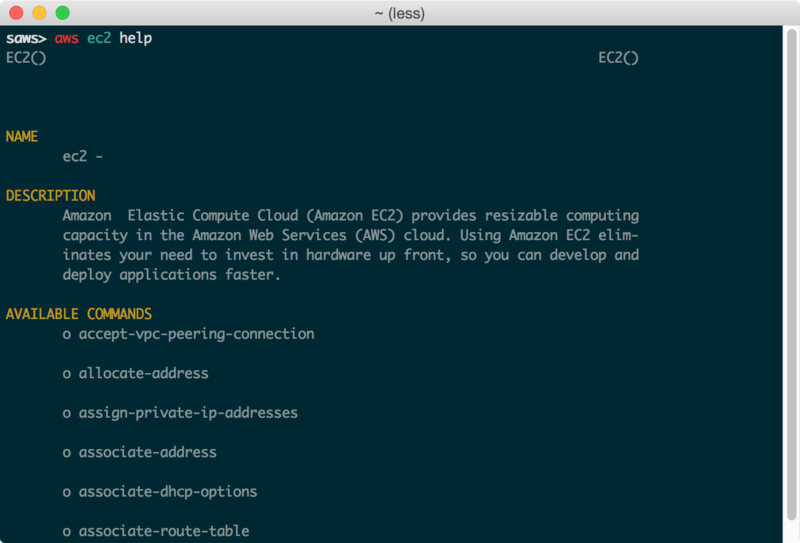 The help command is powered by the AWS CLI and outputs help within the command line. Sometimes you’re not quite sure what specific command/subcommand/option combination you need to use. In such cases, browsing through several combinations with the help command line is cumbersome versus browsing the online AWS CLI docs through a web browser. SAWS supports contextual web docs with the docs command or the F9 key. SAWS will display the web docs specific to the currently entered command and subcommand. SAWS has been tested on Windows 7 and Windows 10. To view SAWS virtualenv and Docker installation instructions, click here. Command line options for starting SAWS with a specific profile are under development. For more details on how to install and configure the AWS CLI, refer to the following documentation. Light testing indicates that SAWS also seems to be compatible with Python 3.5. Pypy3 is not supported due to lack of support from boto. Source code documentation is available on Readthedocs.org.